Digital media experts from across North America will gather at UBC Okanagan from May 17 to 19 for the first-ever Digital Media in Education conference. As digital media continue to be among the most important and powerful forms of communication in the 21st century, institutions, businesses and governments are building teams of qualified professionals, says conference chair Rosemary Thompson, manager of UBC Studios Okanagan. 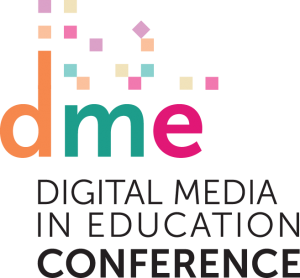 The 2017 Digital Media in Education Conference features a variety of industry and educational digital media experts sharing their knowledge through keynotes, workshops and challenges. Keynote presenter is Shauna Heller, founder of California-based Clay Park, the first virtual reality (VR) strategy and advisory firm for institutions, corporations and developers. Clay Park initiatives focus on introducing 360-degree video and virtual reality into education and enterprise applications. Clay Park is a partner on Oculus’ VR For Good project, the “360 High School Challenge,” which transforms students into 360-degree storytellers. Digital media creation—exploring how to bring the best work to life, whether it’s through video, web design, motion graphics, graphic design or augmented reality. Digital media in the classroom—uncovering the full potential of digital media for students, educators and researchers. Emerging media —a look at how emerging media, advancing technologies and applications fit into education and the world around us. “An engaging program of activities will appeal to anyone who knows the value of digital media creation and its importance in communicating to today’s fast-paced and socially networked world,” says Thompson. Conference registration is now open at dme2017.ok.ubc.ca.